Are you considering hosting a High Tea party for your next celebration or event? We offer a large selection of delicious high tea menu items, beautiful china and styling, as well as many optional add-ons for a perfect High Tea at your home, venue or business. 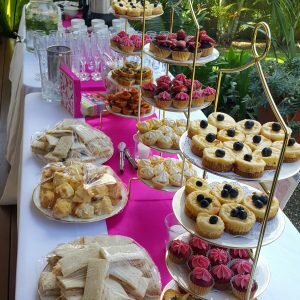 All High Tea Catering is delivered to your chosen location and set up beautifully. We service all suburbs of the Gold Coast and Brisbane.